Nearly a year on after the merger with Panattoni Europe and First Industrial, Panattoni has now over £600m of development committed to build in the UK, with a strong list of projects in the pipeline. Panattoni’s ability to access global capital coupled with their entrepreneurial approach to business has been an effective cocktail in the UK. The privately-owned US business, Panattoni Development Company, established in 1986 originally set up Panattoni Europe in 2005, and has since grown into the largest industrial & logistics developer of new-build facilities in Europe. 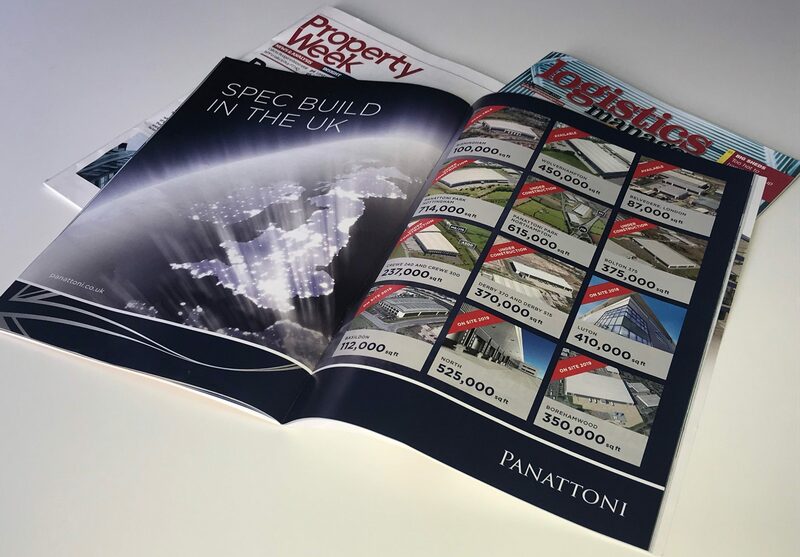 In less than a year Panattoni has already positioned itself in the UK as the largest developer of speculative product, with over 3.5m sq ft scheduled to be in production by the end of 2018, with further ambitious plans for 2019. Matthew Byrom, founder of First Industrial and Managing Director of Panattoni in the UK, reflects “…2018 has been a transformatory year for our business. Ambitious targets for development were set – and exceeded! We’re running hard at the moment, but business is getting slightly easier as the market recognizes our abilities to execute and deliver a market leading product”. The continued strength of the Greater London market has had a demonstrable concentric ripple out effect on rents in the surrounding regions, with a number of occupiers being priced out of the established industrial locations. E-commerce drivers and retailers seeking to provide their expectant customers with an ever improving delivery service has provided the market new challenges. The old adage of ‘over-develop at your peril’ has never been more apt, with a trend amongst occupiers wanting much larger yard areas to accommodate their fleet of smaller lorries and vans to service the major conurbations. Fergie Taylor, Head of Development Delivery at Panattoni explains “…the difference this time round to last is that occupiers are prepared to pay a premium rent for a larger yards; this type of building is no longer the preserve of the bespoke freight forwarding company and we’re now looking very seriously at building low density logistics warehousing speculatively. Overall, we see this as having a much wider application in the UK than perhaps multi-storey warehousing, which continues to capture the imagination of the industrial market”. Panattoni Research summaries “…the structural shift in retail shopping pattern seems an irreversible trend, which provides added impetus to the emerging growth in the logistics warehousing story. With on-line retail sales still only touching 18% of total retail sales, it would be hard to argue that the market hasn’t got further to climb, particularly given the increasing growth of m-commerce (mobile phone commerce) where we’ve seen the highest acceleration of retail activity”. Whatever the outcome in the fast moving development market, it seems certain that Panattoni will be in the thick of the action, and despite a number of new entrants and increased competition, few commentators would bet against 2019 being another record breaking year for Panattoni.